NEOS Life is continuing its expansion with the establishment of a Western Australia team to be lead by three adviser veterans. Reon Botha, John Griffiths and Kon Vaporakis will all join the retail life insurance providers new team in various roles in WA. Mr Botha will lead the sales team as state manager and has previously held the title of senior business development manager with AIA. Mr Griffiths will take on the role of business development manager working under Mr Botha and has previously held roles at CommInsure, TAL and MLC Life Insurance. 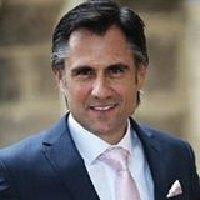 Mr Vaporakis also joins from AIA Australia where he was a principal underwriter and life underwriter and will now take on the role of senior underwriter for NEOS. NEOS’ managing director Brett Yardley said the appointments showed the strength of NEOS to provide support to the state. “We’ve been able to provide an on-the-ground, local presence in Western Australian so soon after our launch,” he said. It is the latest in a series of hires for the life insurer who recently built up its distribution and underwriting teams across the country.